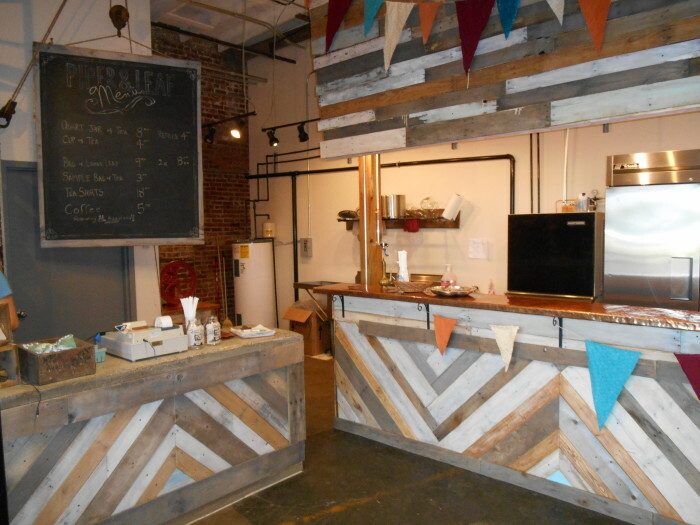 The best place to buy tea in town is Piper & Leaf now located at Lowe Mill. I had to do a double-take when I discovered them last year at the Madison Farmer’s Market. 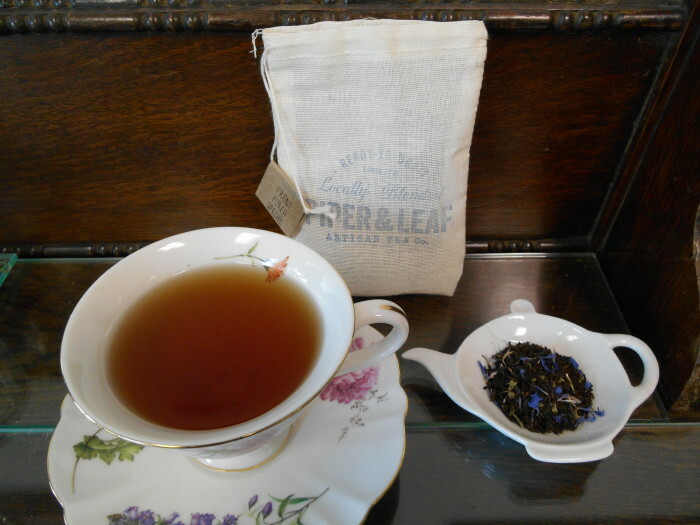 Original loose leaf tea blends created and sold right here in my hometown? Amazing! I stopped and talked with them and was impressed with their business strategy of reaching out to people who prefer fresh and natural foods. Seemed very sensible to me. They have built a solid following and now almost always have long lines at the various farmers markets. 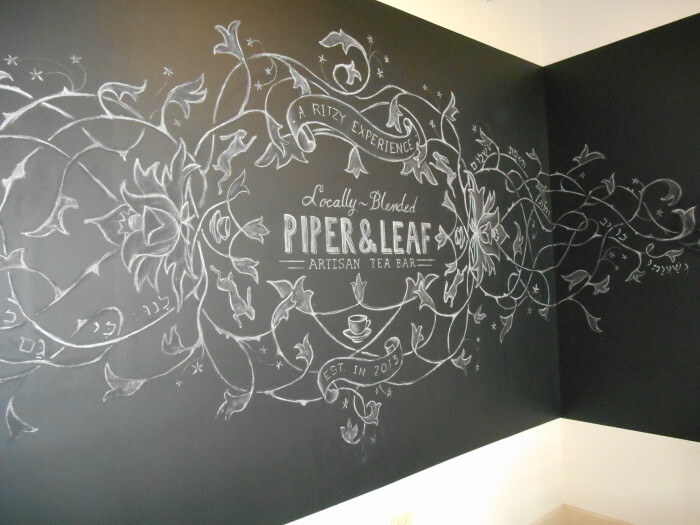 The Piper & Leaf people have a flair for creating refined tea blends with balance and taste. Their Front Porch Special contains bergamot which is the same ingredient that gives Earl Grey tea its distinctive flavor; however, the Front Porch Special doesn’t taste like Earl Grey at all. The jasmine and spearmint smooth out the tea and none of the flavors overpower the other. The combination of the parts create a totally unique flavor. The base is Assam & Ceylon black tea so it’s good and strong. 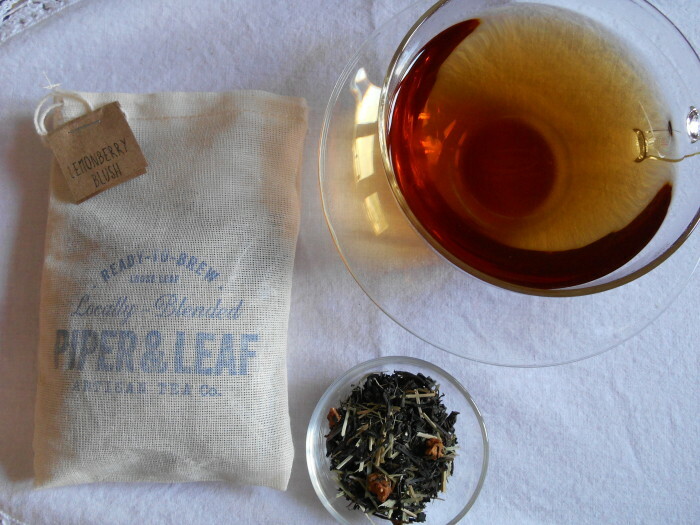 The blue cornflower petals sprinkled throughout the tea leaves are a delightful touch. This tea is good hot or cold and highly appropriate for sipping on the front porch. Just add some sugar if you want to make it truly southern! The Lemonberry Blush Tea is a lighter tea good for the afternoon or anytime you want to curtail the caffeine because it’s half herbal tea, half Ceylon Estate black tea. Lemongrass and lemonbalm give it a fresh, almost green tea taste. As a matter of fact it’s not uncommon to see lemongrass mixed with green tea so that makes this favorite blend a little unusual. The lemonbalm will have a calming effect similar to lavender or chamomile. Bits of dried strawberries are an appealing accent. Because you have herbs in the mix you may want to brew the tea a little longer than normal. Love the photos and the tea! Great post. Thanks! That means a lot coming from someone so talented.